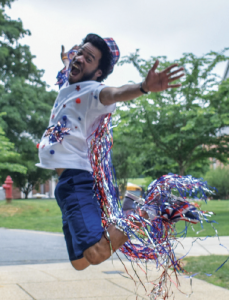 Hi, my name is Darren Mathews and I am the Assistant Site Director for ESF Summer Camps at Georgetown Prep School. I am also the Talent and Acquisition Director for the state of Maryland. I am excited to be celebrating my 8th summer with ESF in 2018. 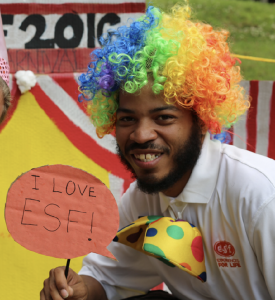 I began working for ESF in 2011 at Norwood- Fontbonne Academy in Pennsylvania as a Day Camp Support Specialist. The next summer, I became the Day Camp Director and in 2013, the Senior and Major Camp Director. I remained in that role for 3 summers until being relocated to Georgetown Prep School in 2017. I started working full-time for ESF in October 2013 as a Leadership Apprentice. In this position, I learned all about our Talent Acquisition Team. I was promoted to the ESF Afterschool Enrichment Program Manager at The Haverford School and was in that role for 2 years. In 2016, I became the Operations Manager for ESF at Georgetown Prep School. My experience prior to ESF includes 5 additional years of working in the camping industry, as well as experience as a teacher. I received my Bachelor of Science in Computer Science with a minor in Math Education. My favorite thing about working for ESF is being a part of a team of people who are truly passionate about making every summer, the best summer ever for our campers. My absolute favorite camp tradition is The Great Boat Regatta that happens in Senior Camp. It is amazing to see how creative our campers become when making a boat out of recycled materials. I started a tradition at ESF Norwood, where our Senior campers make a flag that represents their group. Not only is this tradition still carried on at ESF Norwood, but it has also caught on at a few other ESF Sites as well. What is the most unique/interesting job you have held outside of ESF? I worked in the IT Department for a major storage company for 3 years before coming to ESF. I would want the ability to control time. I would be able to slow it down, speed it up or freeze it.